You don't have to look hard for things to do in Duck, NC. The beach is the primary place for Duck recreation and Southern Shores outdoor fun, whether it’s swimming, surfing, fishing, sea kayaking, walking or just lazing in the sun. But don’t overlook the soundside. The Currituck Sound is the perfect place to fish, sail, paddle a canoe or kayak, Parasail, Jet ski, stand up paddle board and windsurf. Several Duck outfitters offer kayak tours and water sports equipment rentals on the sound. Other than watersports, the things to do in Duck, NC, are pretty low key. There’s a paved bike path along N.C. Highway 12/Duck Road through Southern Shores and Duck, NC, that’s perfect for biking, jogging, walking and strolling babies. If your kids are looking for somewhere to skate, you might want to branch out of the things to do in Duck, NC, by taking them up to Island Revolution Skate Park in Corolla, (252) 453-9484, instead of turning them loose on the bike path. Note that beach driving is not allowed anywhere on Duck, NC, beaches. We give the address for many things to do in Duck, NC, as Duck Road, which is the same road as N.C. Highway 12. 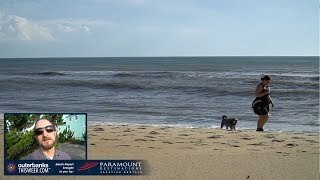 There aren’t as many public beach accesses in Duck, NC, and Southern Shores as there are in the beaches farther south and in Currituck, so you’ll have to hop in the car to find those. Southern Shores is a mainly residential area just south of Duck, NC. While there may not be as many diversions as there are among the things to do in Duck, NC, you can find enough to fill several days with activity. Get out and about in the beautiful maritime forest when you run, walk or bike along the town’s bike paths. For a more manicured take on the environment, try a round of Outer Banks golf on the impeccably landscaped courses. Thrill seekers will love water parks and escape rooms (located on the other side of the bridge). Or you can nurse your nostalgia by spending an afternoon browsing through comic book stores. There are no opportunities for scuba diving in Duck, but if you're into the sport, see our Nags Head, Roanoke Island and Hatteras sites. Located in Duck's Waterfront Shops, Village Yoga offers a variety of yoga classes daily, weekend workshops and yoga teacher trainings. Village Yoga offers private/group classes on the beach or in your vacation home as well as pay-what-you-can yoga classes that help support the local community. Their annual oceanfront retreat-style teacher training each fall is a favorite offering. Whether you want a full day of pampering or a quick hair cut, Eden Day Spa & Salon can fill the bill. This full-service salon offers massage therapy, European facials, makeup application, pedicures, manicures, hair treatments and a full menu of head-to-toe spa treatments. Wedding preparation is their specialty, and group appointments and spa packages are available.